Noel Meade is mulling the Leopardstown Christmas Chase or the King George VI Chase at Kempton as possible options for Road To Respect following his impressive return to action at Down Royal last weekend. The seven-year-old claimed the second of his three Grade One victories to date in last season’s Christmas Chase before going on to finish fourth in the Cheltenham Gold Cup and third in the Punchestown Gold Cup. Road To Respect dominated his rivals on his return to action in Saturday’s JNwine.com Champion Chase and Meade is hopeful his charge has progressed again. Speaking at the launch of the National Hunt season in County Meath, Meade said: “You go to the races hoping things go right and they all went right on Saturday. “I haven’t discussed it yet, but I’m sure the plan would be Christmas. He jumps a little bit left so it would make a lot of sense to go at Christmas. “He is entered in the King George, but that’s one thing about Michael (O’Leary, owner) – he doesn’t mind you making your mind up closer to the day. He added: “It’s hard to know whether he’s improved this year because it’s hard to know whether the others ran up to par (at Down Royal). 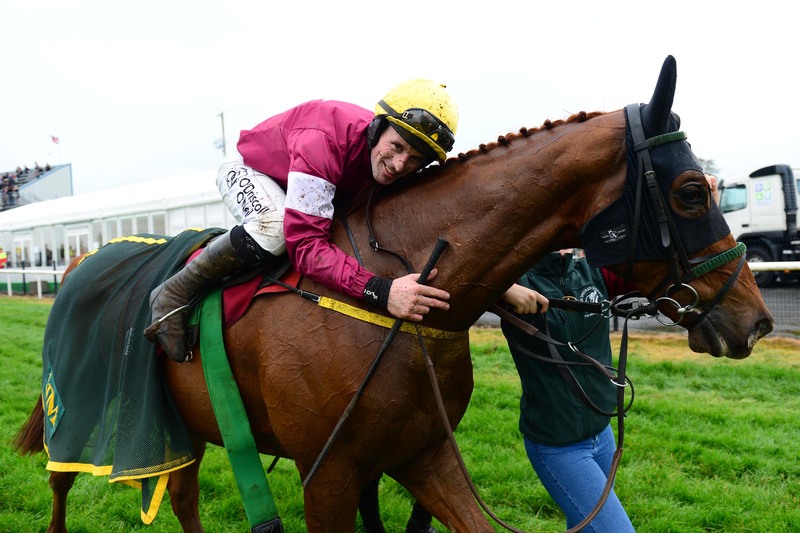 “Sean (Flanagan) rides him most of the time and Damien McGillick, who also rides him some times, were both adamant he was in fantastic form, even though he was weighing 22 kilos heavier than he ever was before.